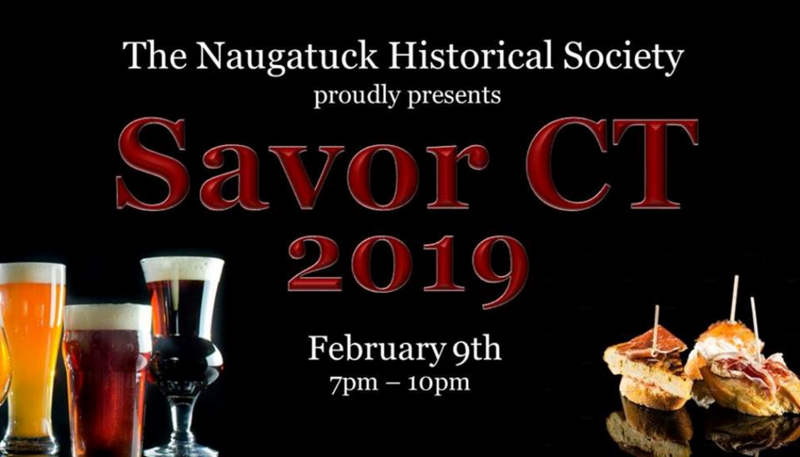 Savor CT 2019, for the eighth year in a row the Naugatuck Historical Society is hosting its annual food, beer, wine and spirit tasting. Guests will be able to enjoy 7 breweries, 4 distilleries, 3 wineries and over 20 different food vendors. All food and drink are included with entrance fee. Enjoy foods from Santos' Restaurant, Fascia's Chocolates, Subway, Tomo 68 and many more. New England Brewery, Black Hog Brewery and Litchfield Distillery are just a few of the drinks included. Fine Wine's and Liquors is providing more tastes to try. Guests will receive a complimentary tasting glass from sponsor Attorney Frederick Dlugokecki. Check out our Facebook Event page for an up to date listing of vendors.